With the fifth season of 'The Clone Wars' coming to a close we get a chance to see this, almost movie-esque, trailer giving us glimpses of the epicness that will surely ensue. Note: The trailer below is available in the US only. Click this link to view the trailer on Youtube. 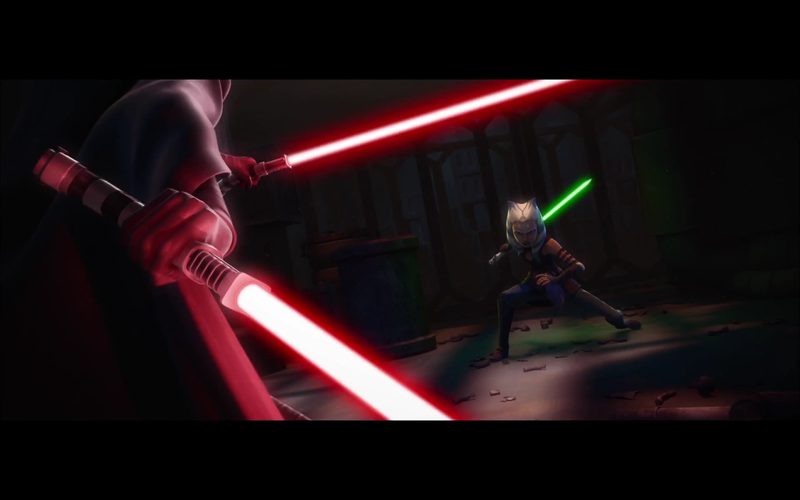 Going off of what the trailer is showing, this arc will be intense with Ahsoka Tano storyline . I think, and this is pure opinion, that by the end of the season we will see Ashoka Tano killed off. I'm basing this off of the mood of the trailer, the reminiscing that is going on in the background, and the emotion tone of the music. I am personally super excited. Every midi-chlorian in my body is shaking with excitement. The finale begins with episode 5.17 "Sabotage" and will air on February 9th. Damm video is not available in your location. Im seeying this message everywhere....Someone know a other link to the same video?